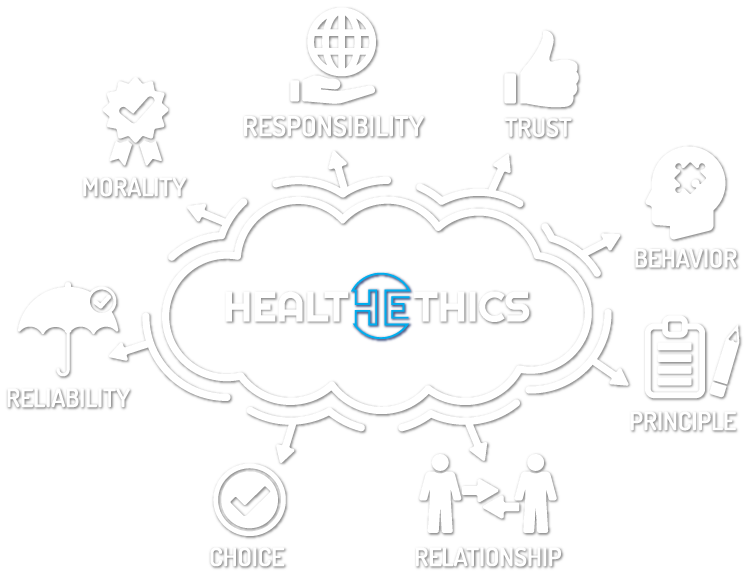 When you think about ethics in health care it is probably clinical or bio-ethics (link) that comes to mind first. Clinical practice is full of ethically challenging situations, the capable patient who refuses the care the team knows she needs, who gets onto the wait list, patients as persons, children in families, and, of course end-of-life care. But health care is delivered through organizations and they face ethical challenges too – as organizations. Strategic priority setting, stewardship of scarce resources, hiring and purchasing, relations with the community, and even something as apparently innocuous as smoking policy all engage and exhibit an organization’s values and ethics. Organizational ethics (link) is the catch-all tem that covers these issues. We are talking about no small matter but how we should live. (Socrates in Plato’s Republic) All of us have a set of moral, or ethical principles or values (link to On Ethics and Morality in Resources, topics in hc ethics.) that define who we are, what we stand for and what we take to be important in life. Those principles or values are derived from a whole variety of sources, our families and upbringing, our education and religious background, and of course, our professions. For the most part, for most of us, those values or principles all co-exist in relative harmony, but sometimes conflicts arise. These moral dilemmas are the hard work of our moral lives. Sometimes events in our professional lives can throw our values into sharp relief and demand critical self reflection. The ethics programme at your organization should provide a safe space for that critical self-exploration.